Jayapura: The fatal shooting of an activist of the KNPB, Hubertus Mabel, has been condemned by his family and by the KNPB – National Committee of West Papua – as unlawful. According to the law, if a person is deemed to be engaged in unlawful acts, he should be arrested and charged before a court of law but this did not happen in the case of Mabel and his colleague. A spokesman for the KNPB, Wim Medlama, said that Hubertus had been immobilised by being shot in the legs. The security forces then pushed him into a police van where he was tortured and stabbed. When he was arrested along with Natalis Alua, the two of them did nothing to resist arrest yet nevertheless they were shot. Hubertus and his colleagues were not involved in the attack on Pirime Lanny Jaya. His activist colleagues believe that the police were feeling very frustrated and had opened fire on Hubertus and his colleague out of a sense of revenge for the deaths of three members of the police force who died during an attack on the Pirime police station. ‘When taking someone’s life, the police should be able produce powerful evidence before taking the law into their own hands like this,’ said Medlama. If Hubertus did violate the law, he should be tried, not shot dead as happened to Mako Tabuni. ‘They have accused us of being terrorists but we don’t have any bombs yet the allegations still persist. We have no idea what other tricks the security forces have up their sleeves in order to discredit us and the people of Papua, he said. JUBI, 18 July 2012The first hearing in the trial of Buchtar Tabuni, chairman of the KNPB, the National Committee of West Papua took place but none of the thousands of members of the KNPB were present to give their support to the accused. They were probably absent because of the circulation of text messages and terror phone calls, giving them reason to believe that they would be included on the DPO, the ‘wanted persons’ list and would be arrested and they didn’t want their names to be made public. One man from the central highlands who did not want to give his name said that not all the members of the organisation were known to the police. ‘We dont want to have our names included on the ‘wanted’ list. Had we attended the trial, this would have helped.them.. He said that the absence of KNPB members at any of the trial hearings would mean that the police succeeded in dampening the militancy of the KNPB. But another person said that the KNPB members were not prepared to take the risk of facing fabricated charges. They were protecting themselves by not attending the trial. ‘They probably don’t want to be charged with all manner of things,’ he said. The police guard round the courthouse for the Buchtar trial was not as tight as the guard that was mounted when Forkorus Yaboisembut was on trial, when Brimob troops were guarding the courthouse. Nor were there as many people attending the trial of Buchtar as had attended the trial of Forkorus. 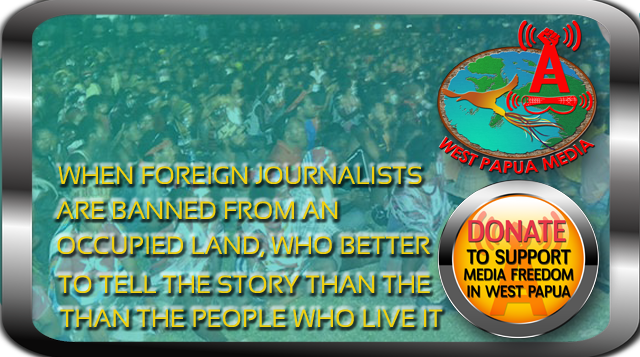 West Papua Media has been provided this chronology by a reliable and independent human rights investigator associated with Papuan Churches. We have held back the publication as we were awaiting further elements of this story from senior international sources, however this source has gone back on agreeing to provide information so we cannot withhold publication of this critical document any further.